If you live in an area where street parking is heavily controlled, adding a driveway or even a simple parking space can pay dividends, not only will it give you a safer place to park your vehicle, it will also be much more convenient for you and possibly save you parking fines & fees over the longer term - a significant bonus is that where parking is tough, if your house has a driveway or its own parking area, then your house is more valuable than one that doesn't have it (London is a very good example of this increase in value effect). In visual terms, driveways & patios can drastically transform the whole look of your home and give you area that you can make full use of either for social or practical purposes. 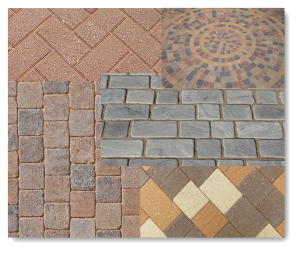 Popular options for driveways are Block Paving, Asphalt (Tarmac), Gravel & Concrete - each having its own features. Concrete or Clay block paving can be used with the concrete version being the least expensive. The major difference between the 2 materials is that clay paving is less porous, tends to have richer colours and retain its look for longer. Concrete blocks can be susceptible to weeds, ingrained dirt, oil & dust. Jet washing the surface a few times per year should help keep them free of moss, dirt & other discolouration. You could also coat the surface to help defend against staining. Both of these material are laid on a bed of sand, which needs to be supported by proper foundation hard-core & gravel or they can subside - the borders of the driveway need also to be constructed well to stop the drive from 'spreading'. 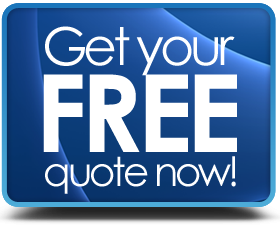 This material can be a very quick & cheap solution to adding a drive, but if you use the wrong company to do it, then you will be wasting your money - using someone who turns up at your door with some 'spare Tarmac' is not the right choice. However, a reputable company using proper methods can give you a drive to be proud of. Tarmac is made up of gravel and you can choose to have "coarse or fine" & there are options for porous tarmac which allows water to drain through the surface. Coloured options are available and even options for pattern imprinted tarmac that looks like block paving. Very strong and easily created into complex designs, concrete is a simple solution. Care has to be taken with ensuring the surface is "roughened" as water can sit on the surface making it slippery if it is smooth - ice can also form easily in winter. Cracking can be a nuisance for large areas of concrete so it is best to be cast in sections with special crack inducers & expansion joints. 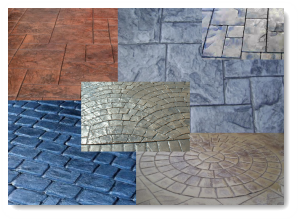 Pattern imprinted concrete drives can look amazing with an extensive range of designs & colours - if the surface is treated, they will retain their looks for a very long time. Many people like the idea of a "crunchy drive and with many different sizes of coloured aggregates in the market, you can certainly get a pleasing appearance. The problem with many gravel drives is that the aggregate moves around and the appearance can become messy very quickly. They can also be susceptible to weeds & grass growth. 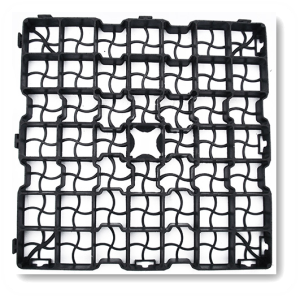 A solution to the settling and movements would be to use a surface reinforcement grid which is similar to a plastic honeycomb it helps prevent settlement and movement very effectively. Use of properly treated timber can be visually stunning and having a raised patio deck to walk out onto from your living room is very appealing. Whilst for most work of this nature it is unlikely that planning permission is needed, however, if you are doing extensive work or in an ANOB (area of outstanding natural beauty), National Park or have a "listed or protected" property then it is prudent to confirm any requirement with your local planning authority offices before going ahead with the alterations.